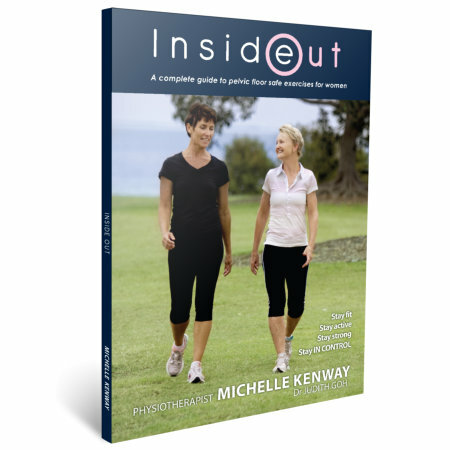 Inside Out book is the internationally acclaimed guide to exercising safely and reducing the risk of pelvic floor injury by Australian Pelvic Floor Physiotherapist Michelle Kenway with Urogynaecologist Dr Judith Goh. This user friendly guide gives you confidence in your exercise program with those exercises to choose and those exercises to avoid or modify to protect your pelvic floor when exercising. It also guides you step by step through a daily workout program to effectively strengthen your pelvic floor. Checklist for choosing safe exercise classes. 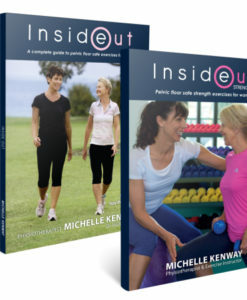 Inside Out book has recently been selected by a panel of Australian continence experts as a key resource for the Australian Continence Foundation’s National Exercise and the Pelvic Floor Project. 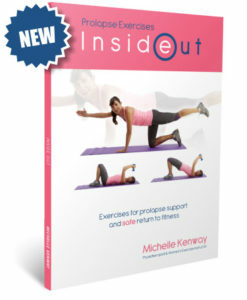 Inside Out provides women with professional guidance for pelvic floor strengthening and how to choose appropriate fitness and strength exercises to avoid pelvic floor injury and minimise the risk of worsening pelvic floor conditions. 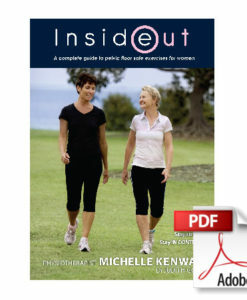 Michelle Kenway is an Australian Pelvic Floor Physiotherapist. Michelle has for many years acted as the consulting physiotherapist for The Mater Private Hospital -Redlands, Brisbane in addition to conducting her own women’s health and exercise private practice. Michelle lectures to medical specialists and other health professionals on pelvic floor and exercise. She conducts popular weekly therapeutic exercise classes for women. In addition to her physiotherapy qualification, Michelle has post graduate qualifications in both continence and women’s health and exercise for women making her highly qualified in the field of exercise and women’s health. Dr Judith Goh is an internationally renowned Urogynecologist based at Greenslopes Private Hospital; and Professor, School of Medicine Griffith University, Queensland. Judith specialises in pelvic floor prolapse and incontinence.